• The New York Times is covering animal activists in China who are urging the government to stop using animals in circuses. 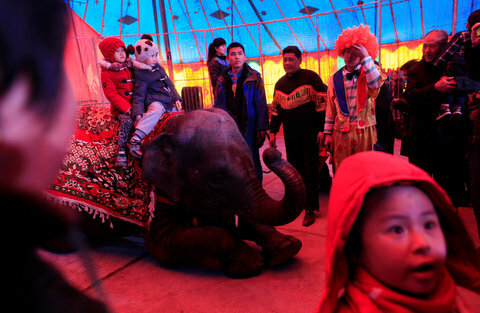 An “open letter calling for the removal of animal performances at the First China International Circus Festival in Zhuhai” was addressed to the Chinese minister of culture, Cai Wu; the governor of Guangdong Province, Zhu Xiaodan; and the president of the Chinese Acrobatic Association, Bian Faji. It was signed by 31 groups and about 160 individuals.